My son woke me up at 430pm, after three hours of sleep. I tried to go back to sleep but I couldn’t do it. Hence a I found myself back on the city by 645am. I started off the morning at a Sios breakfast at Hotel Zelos. 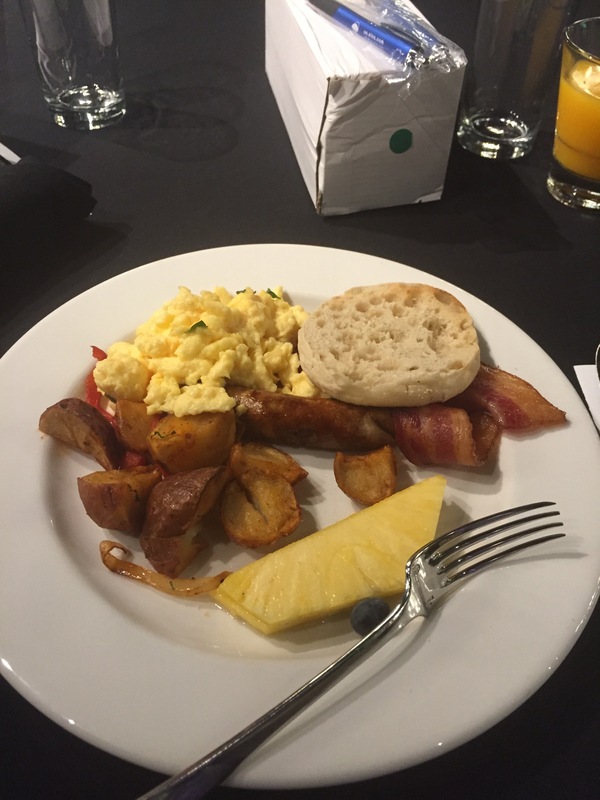 The breakfast was way better than a Moscone food, though I did sit through some dog and pony. still, thanks to Sios for providing a good start to the day (and a tumbler). After breakfast, everything was a blur. I went to the general session, a few sessions, a few meetings and the solutions exchange. The best sessions were the PowerCLI session and the TAM a client session. Honestly I should have hung up my cap right there and maybe called it a day. I went to dinner with HP but I was almost dead. After dinner I went to the vExpert party a little late, but I did run into a few people including jbcompvm vcdx133 virtualstace and pcprofessional. Some people headed off to vBacon while I headed to the VMware SDS party. I did make it to the party location, but once I got there I didn’t feel like waiting. I also was a bit anti-social, tired and still carrying all of my gear (I commute to VMworld). I booked it to BART and headed home. While I filled out this blog post on my phone, I realized that I may have been a little stand-off-ish because I got more of the survey results in. The results overall were still fairly good, but I realized that I could have made the presentation a lot better in terms of aligning the title/abstract/content more clearly. I could have also focused less on the design and more on the testing and tried to get some sample scripts for public consumption. Though the limited comments don’t seem to be indicative of the session as a whole, it makes me wonder if I really did get it right and how I could have done even better. I am considering posting my survey results in a future post for further analysis.